C1399. RICHARD BURGIN Cond. 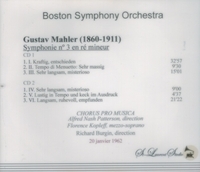 Boston Symphony Orchestra, w.Florence Kopleff (MS) & Alfred Nash Patterson's Chorus Pro Musica: Symphony #3 in G (Mahler). (Canada) 2-St Laurent Studio YSL T-305, Live Performance, 20 Jan., 1962, Symphony Hall, Boston. Transfers by Yves St Laurent. 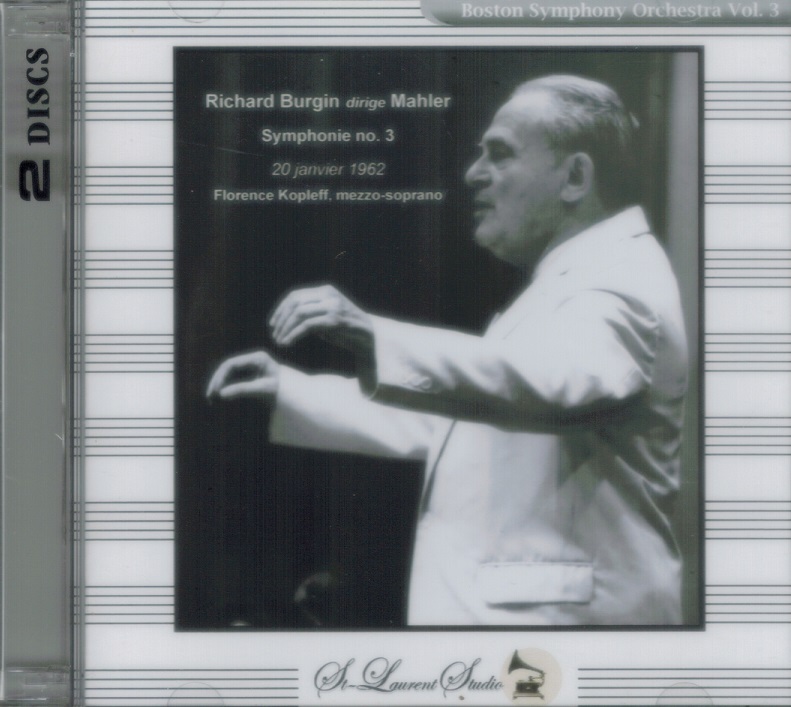 “Richard Burgin, former associate conductor and concertmaster of the Boston Symphony Orchestra, [enjoyed a concert violin career that spanned more than 75 years. The Warsaw-born musician came to the United States as Boston Symphony concertmaster in 1920. He made his first public appearance at the age of 11, as a soloist with the Warsaw Philharmonic Society. He later studied in Leningrad and Stockholm, and began his American orchestral career under the French conductor Pierre Monteux. ‘There is nothing like the Boston Symphony in Europe’, he told an interviewer after coming to the United States. During his career, he led the Boston Symphony in 308 concerts in the United States, Australia and Japan, and was associate conductor at seven world premieres and 25 Boston premieres. Mr. Burgin usually conducted without a baton and, though he always had the score before him, he seldom looked down at it. ‘In my youth, it was considered bad taste to perform from memory’, he said. “Active chiefly as a concert and oratorio soloist, [Kopleff] appeared frequently with the Robert Shaw Chorale and the Atlanta Symphony Orchestra under the direction of Robert Shaw. Kopleff appeared on several of the Chorale's popular LP recitals in the 1950s and '60s, including'The Stephen Foster Songbook', 'Irish Folk Songs' and 'The Great Choruses from MESSIAH'. 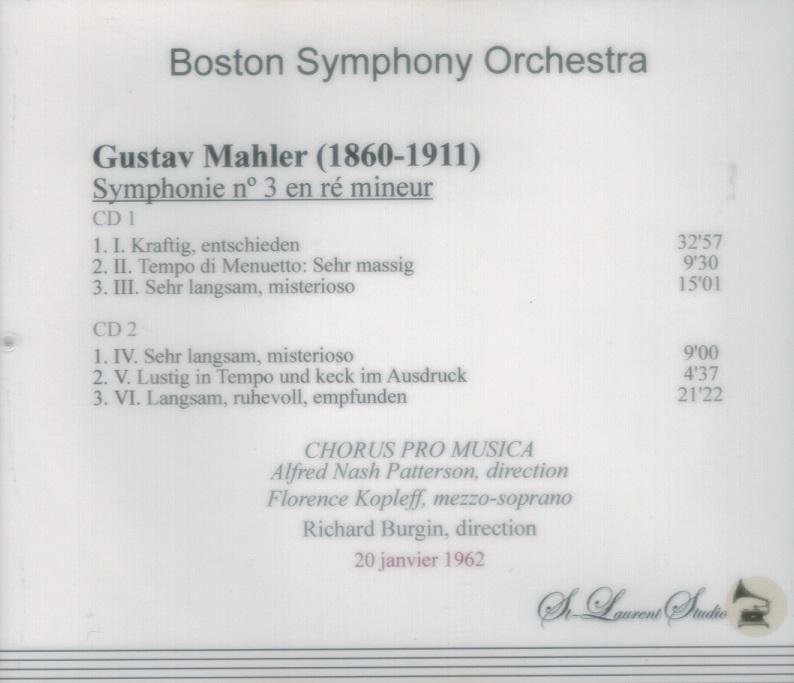 Other conductors with whom Kopleff worked and recorded included Charles Münch, Fritz Reiner and Maurice Abravanel.